You won’t believe what a certain parents magazine recently said about dads: they exist! 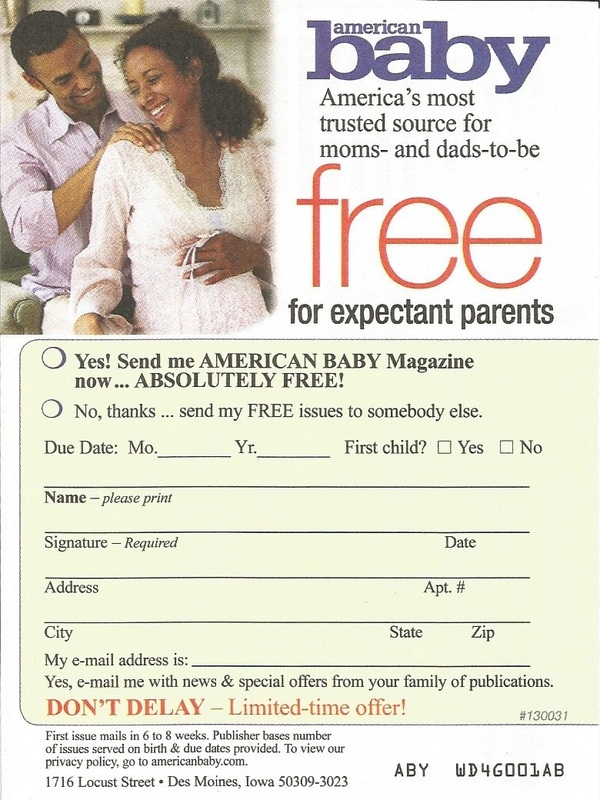 After numerous stories where we pointed out American Baby magazine’s inability to consider dads as equal parents, it finally conceded to the inevitable reality that dads are indeed part of its customer base. It was no easy road to get here. We’ve written about American Baby magazine and its sexist photo credits. We’ve written about its general monthly editorial content that ignored fathers. We’ve written about how it doesn’t believe dads are concerned about child safety. We’ve written how its baby registry advertisement disregards dads. We’ve written about how it suggests that dads don’t buy baby products. We’ve written about how it simply pays no attention to dads as parents. We’ve also heard absolutely no feedback from ABM, nor any attempt to communicate, or even any acknowledgement of our issues. But the tide is turning, and if you held the latest American Baby magazine by its spine and emptied out those (sometimes annoying) subscription postcards before reading it, you missed the best part. As you can see above, it clearly mentions dads by name, acknowledging that its magazine is for dads to read, too. Well done, ABM, and we look forward to your next issue with great interest! ← Will Folgers treat dads to some conversation?